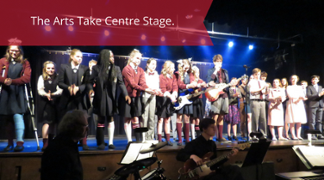 King’s-Edgehill School presents Mamma Mia! 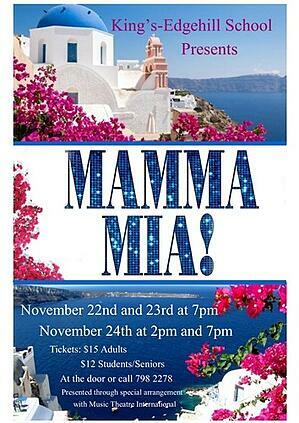 on November 22nd -- November 24th with 7:00 pm performances and a 2:00 pm matinee performance on Saturday, November 24th. Tickets are available at the door or by emailing or calling Janet Naugler at 798-2278, ext. 3593. ABBA's hits tell the hilarious story of a young woman's search for her birth father. This sunny and funny tale unfolds on a Greek island paradise. On the eve of her wedding, a daughter's quest to discover the identity of her father brings three men from her mother's past back to the island they last visited 20 years ago.